Don’t tell Isabella DelaCruz you can’t use your hands on a soccer field. 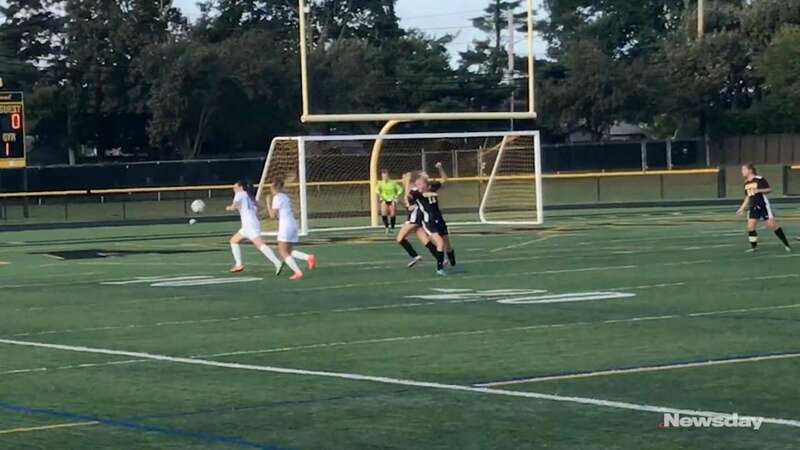 The Wantagh midfielder offers the girls soccer team an option not many teams on Long Island can turn to -- a rocket throw-in with laser precision. 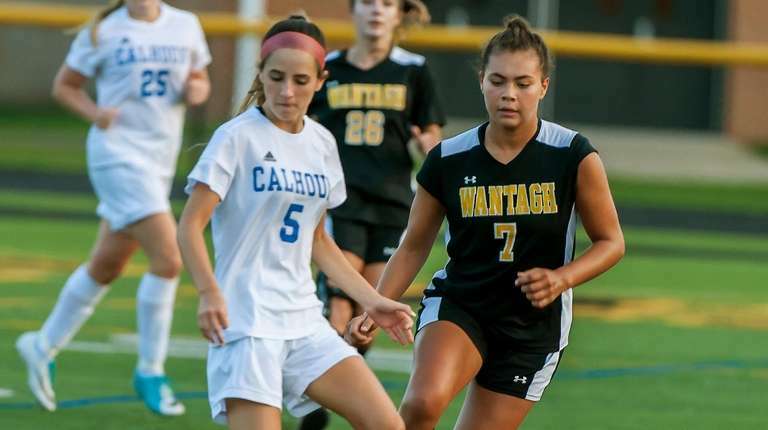 Look no further than Wantagh’s first goal in its 2-0 home victory over previously undefeated Calhoun in Nassau A-I Tuesday for proof. Less than seven minutes into the contest, DelaCruz jogged over to the sideline near the corner, took the ball over her head, ran up and launched a throw reaching the net, which Brianna Derham tapped in for the game’s first goal. DelaCruz credited her time as a cheerleader to building strength and flexibility in her back, helping her ability to make deep throws. 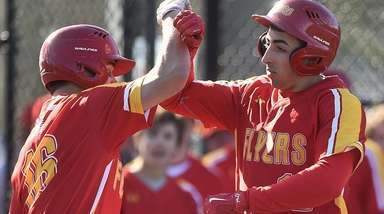 And with a matchup against defending Nassau AA runner-up Calhoun, which dropped down to Class A due to enrollment, Wantagh wanted to utilize every advantage it had Tuesday. One of those being chemistry, especially the forward combination of senior captains Caitlin Albanese and Ashley Gendels. 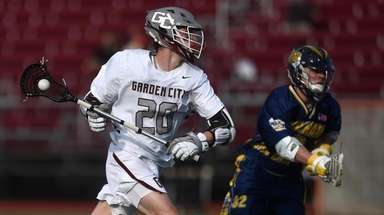 With 14:56 remaining in the game, Gendels crossed a ball to the middle of the net, which Albanese headed in to give Wantagh a 2-0 lead. 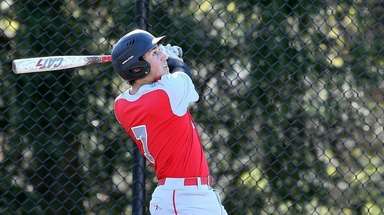 And nothing has been easy this season for Gendels, who said she is playing through a sprained ACL and MCL. Gendels said she tries to forget about it during the game, but Polo is amazed at her resolve. 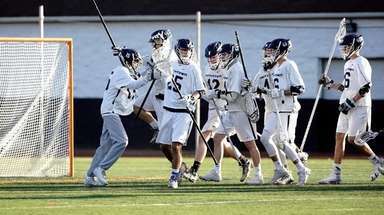 The Warriors (2-3-2) have taken on an underdog mentality, Gendels said, and wanted to prove themselves against a top program, such as Calhoun (6-1-1). 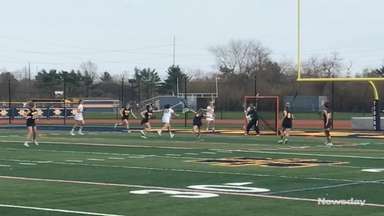 With 11 saves from Erin Murphy and strong backline play from Katelyn Tucker, Emma Benedetto, Olivia Vinson and Maggie L’Eplattenier, Wantagh did just that.